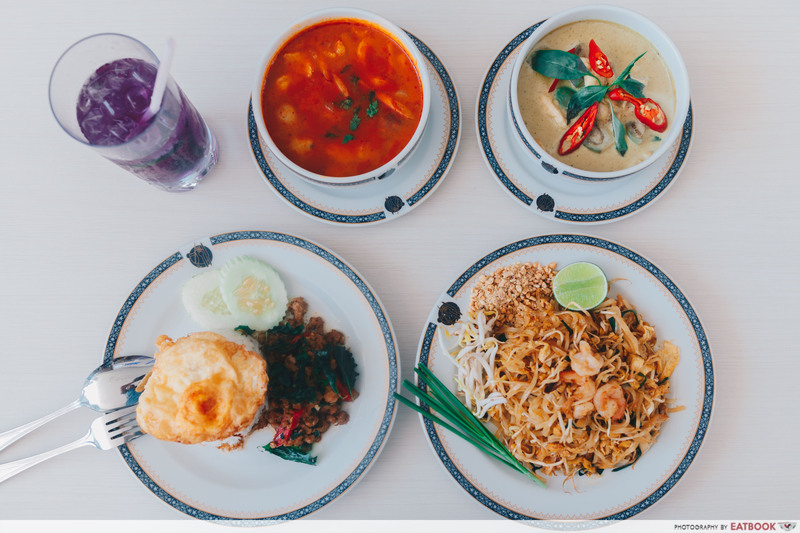 Thai food fans, this one’s specially for you. Took Lae Dee, an affordable Thai restaurant, has docked at our sunny shores! 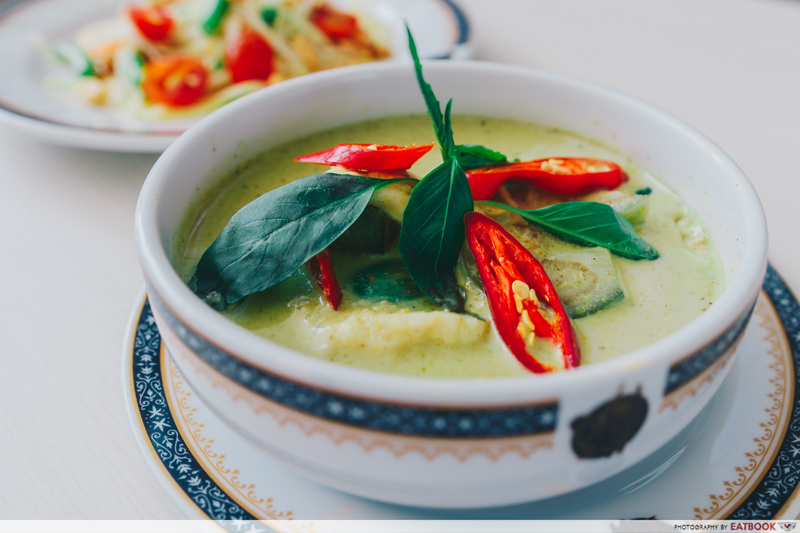 Like anybody with an appetite for rich flavours, I go crazy for Thai cuisine, be it their street food or classic mains. And while dining at Took Lae Dee, I realised you literally only need $3.80 in your wallet to enjoy a good meal here. Bless our savings! 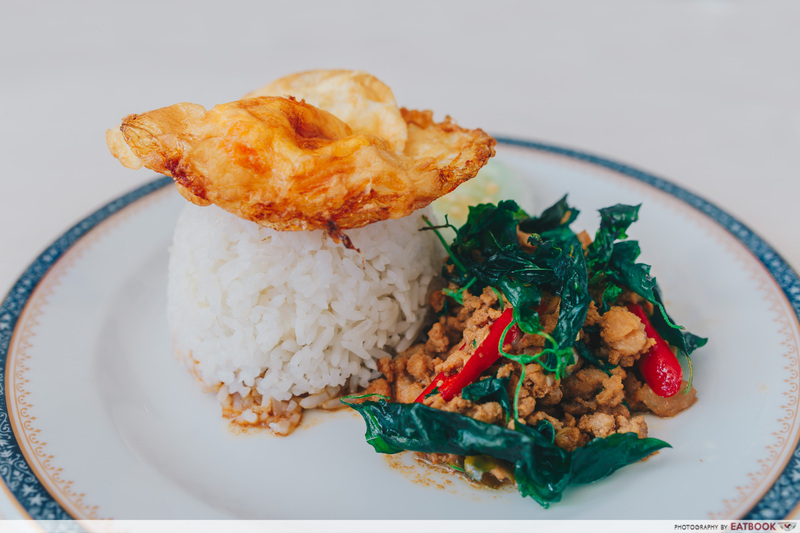 We’ll begin with the cheapest dish – Pad Krapow ($3.80), also known as basil pork or chicken with rice and chilli! Add on a sunny-side-up for $1.20. We tried the pork version, and boy, did it not disappoint. The egg was dying to be burst open. Just get a load of that oozing, yellow goodness! Mixing the yolk into my plain rice gave it a buttery texture, which nicely complemented the generous side of succulent minced pork. The meat, which was soaked in a salty gravy, tasted extremely moist and umami. Coupled with the basil leaves, the dish was both crisp and fragrant. I couldn’t help but gush to my colleague about how value for money this was! Let’s talk about the Pad Thai ($5) next. Out of all the dishes we tried, this was one of the cheapest, second after the Pad Krapow. 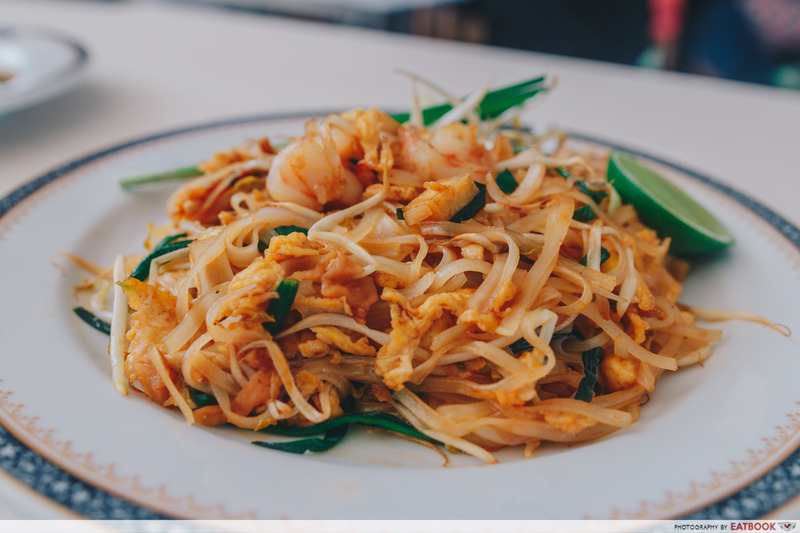 The Pad Thai comprised stir-fried rice noodles with prawns, egg, and bean sprouts, to name a few. Crushed peanuts and a halved lime were also included at the side. Do squeeze the lime juice into your noodles for a sour kick! The Pad Thai emitted delicious hints of wok hei with every bite. I found the Pad Thai sauce a little on the sweet side. Although the Pad Thai here wasn’t the best I’d ever had, I decided it was still up to standard. At $5, I’d order this again for sure. We were also served a bowl of Tom Yum Soup at $6.80. 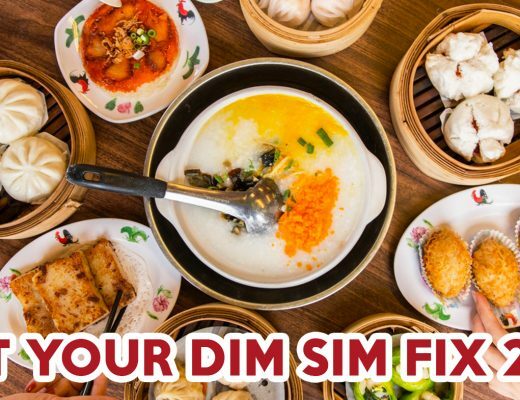 If you’re intending to share this, opt for a larger portion at $8. 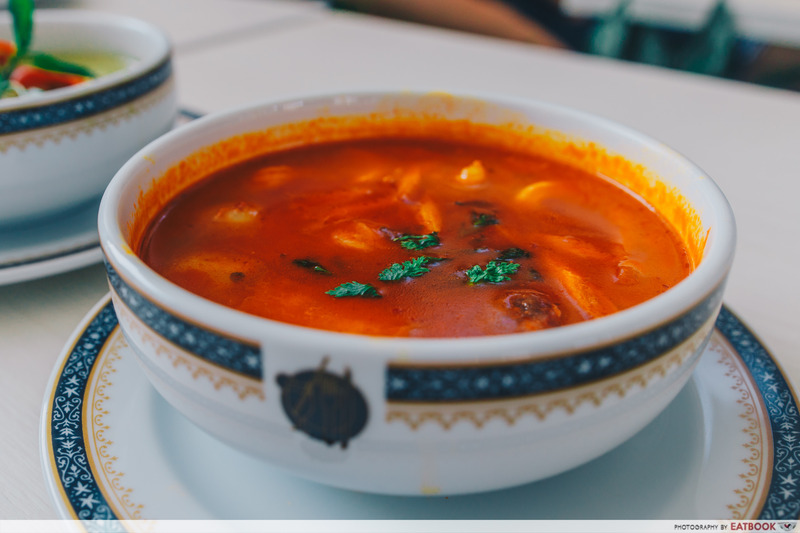 You can make a choice between either seafood or chicken in your soup. 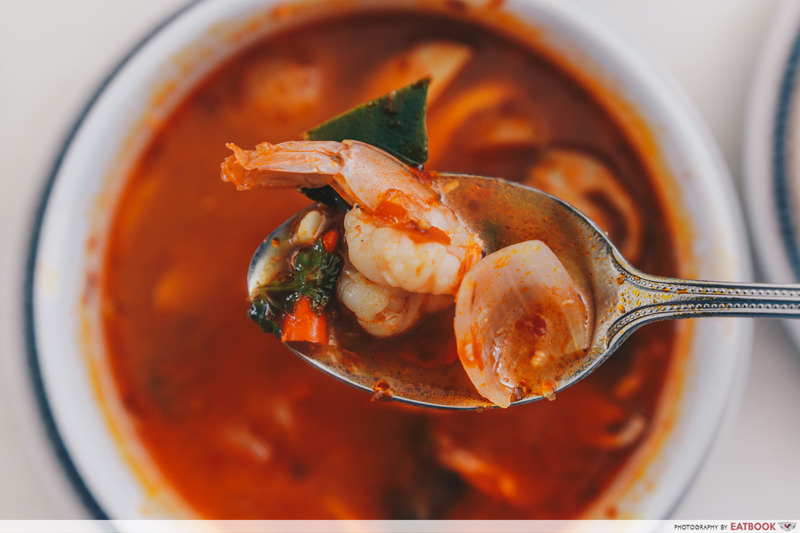 As we were given the seafood option, our flavourful broth came with a helping of fresh prawns, fish and mushrooms, among other ingredients. The soup was super shiok! 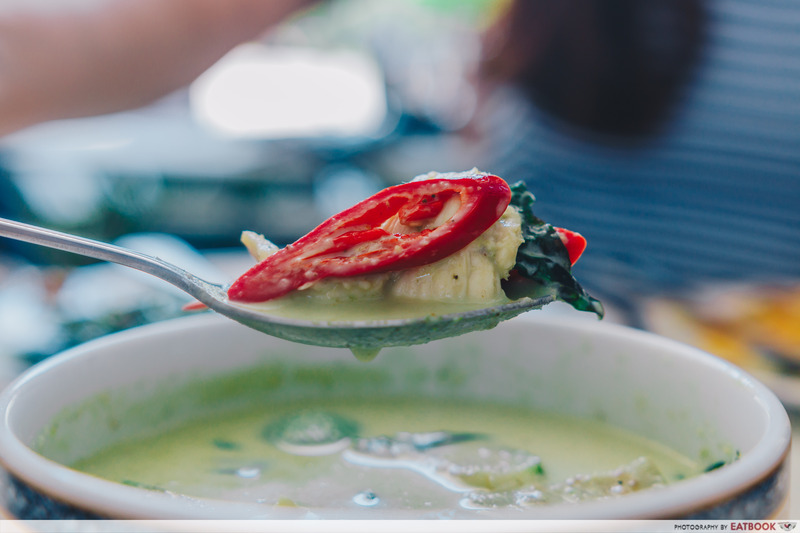 I could taste the sour traces of lemongrass in the broth, while the chilli left a tingling sensation on my tongue that had me breaking out in sweat. Order this with a main to whet your appetite! Finally, we had the last must-try – Kang Keaw Wan ($7), more commonly known as Thai green curry. You can choose to have either chicken or pork in your curry. We got chicken and eggplants in our dish. The curry was really smooth and velvety. You could taste the creaminess of the coconut milk cutting through the spices, but surprisingly, that didn’t make the curry jelak. I actually felt compelled to sip it like soup! The chicken was also excellent – it was extra tender, and even had a bounce in its bite. The Took Lae Dee Iced Milk Tea ($2.80) is something worth mentioning! 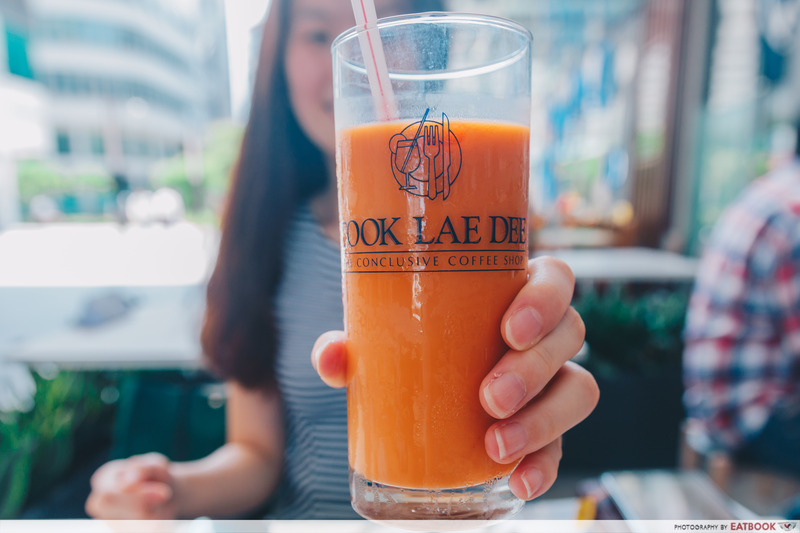 What sets the Thai milk tea at Took Lae Dee apart from regular Thai milk teas is that it comes with milk tea ice cubes, so your chilled drink doesn’t dilute as the ice melts. I found the concoction simple yet ingenious. Even after all that time spent taking photos, my beverage remained sweet, creamy and thick. You can also control the sugar level of your tea, as the condensed milk is separated and served in a tiny pitcher at the side. 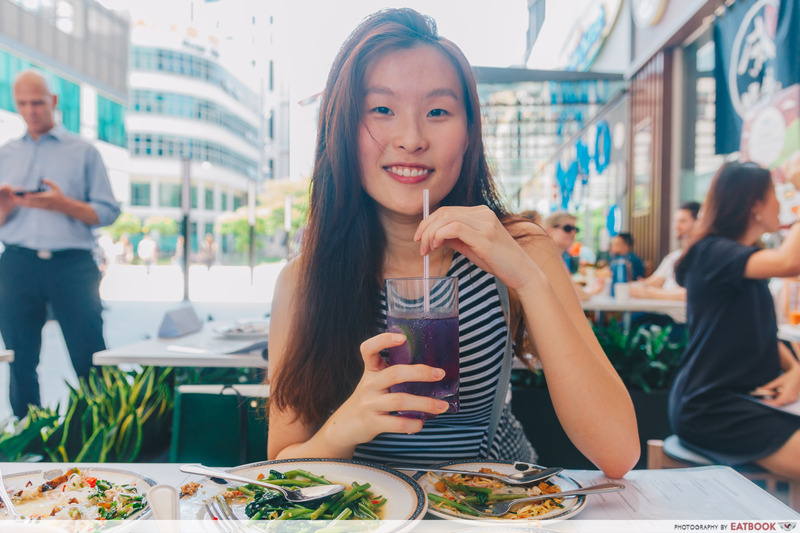 Finally, we also sampled the Iced Butterfly Pea Tea ($2.80). Blue butterfly pea flowers are brewed and mixed with soda water, giving the drink its unique colour. 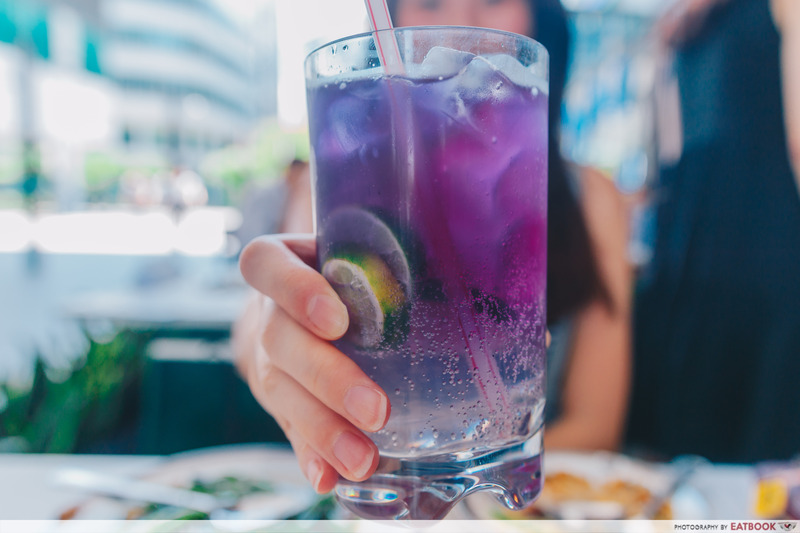 It slowly turns purple from reacting with soda water – an interesting phenomenon to watch. Stirring this refreshing beverage made a pretty boomerang, but consuming it failed to leave an impression on me. While it was cold, fruity, and fizzled in my mouth, it tasted a lot like ordinary Sprite, or sweetened sparkling water. 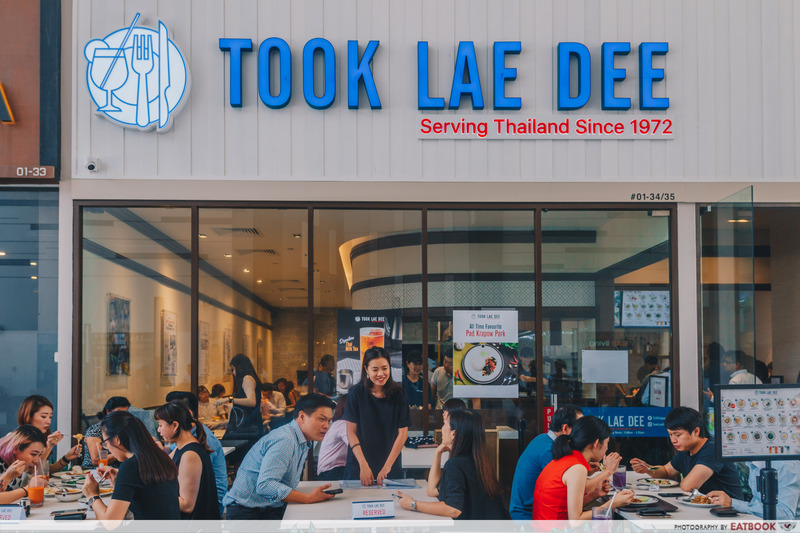 Took Lae Dee is located on the spacious ground floor of 18 Tai Seng amidst other popular chain stores like the Michelin-starred Liao Fan Hawker Chan and Tim Ho Wan. This 60-seater eatery has both indoor and outdoor seating. I’d recommend dining out in the open, because it can get really windy, and nothing beats a cool breath of fresh air. 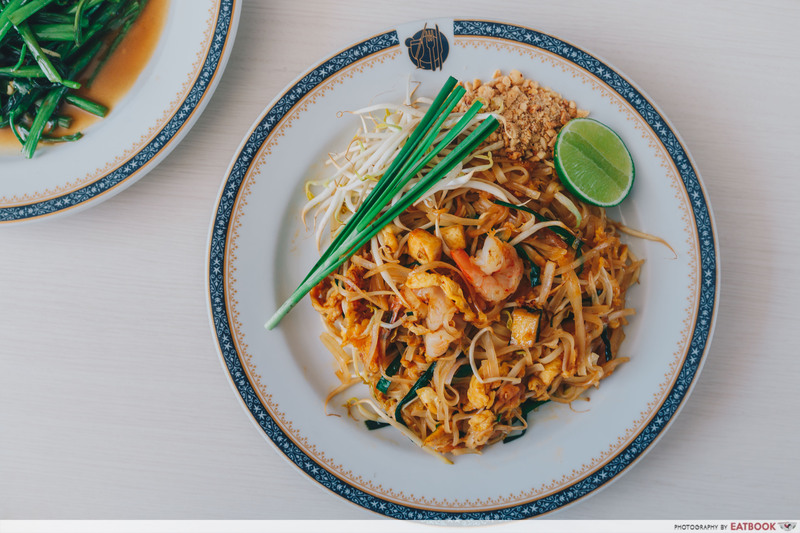 Other dishes you can look forward to trying at Took Lae Dee include Thai Spicy Vermicelli Salad ($6), Green Papaya Salad ($6) and their seasonal Mango Sticky Rice ($3.80). Took Lae Dee is Thai for ‘cheap and good’. 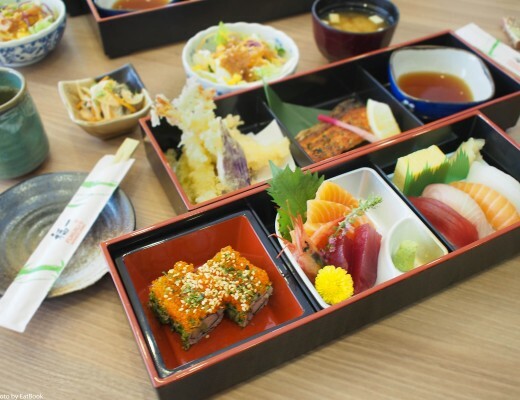 True to its name, its dishes were reasonably priced and delicious. If you asked me if I knew any Thai joints worth a visit, I’d point you in Took Lae Dee’s direction for sure. 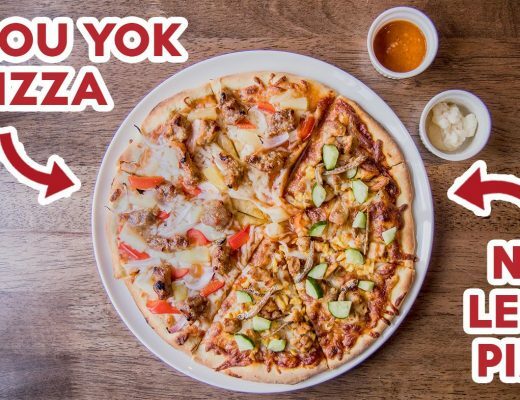 I promise both your stomach and wallet will feel ever grateful to you. 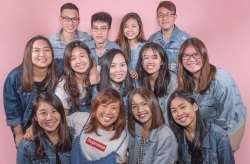 For more Thai food, check out Bubble’s Kitchen, a hawker stall in Hougang selling affordable mookata and Thai dishes, or Nung Len, a hipster Thai eatery in Little India! Took Lae Dee is not a halal eatery. This was a media tasting at Took Lae Dee.